So Yelp.com and ShopinBerkeley.com argue over the exact location of Berkeley Bagels, but we’re pretty sure this counts as a Berkeley gastro-pilgrimage. 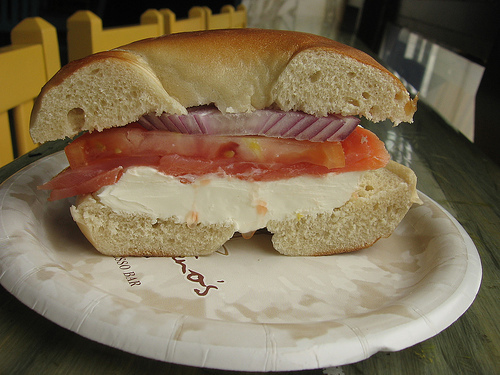 Berkeley Bagels puts Noah’s to shame, and yeah, it’s a long way away from campus, but it’s so worth it. (C’mon, you have a bike, right?) Chewy on the inside, lightly toasted if you like, these bagels come fresh and utterly smothered in shmear. They’ve got just as much selection as the next bagel shop, but they also offer refreshing beverages like Thai iced tea. So choose your variety, get something tasty to wash it down with and don’t forget the lox. Notes: So good it won’t even need a toasting.